Last updated 20 December 2018 . By Anisah Audu. Calling all cocktail lovers: you're going to want to add this watering hole to your 2019 to do list. Tayēr and Elementary is coming and it's got bartender royalty at the helm. Founded by Alex Kratena, who led The Langham hotel's slinky Artesian Bar to win the coveted spot of The World’s 50 Best Bar four times in a row, and his partner Monica Berg, of Pollen Street Social and Oslo's Himkok, you can expect a mighty drinks list. Located in a disused post office on Old Street, the space will be home to two bars; Elementary and Tayēr and a creative workspace called Outthink, which also functions as a private hire space. Influenced by Scandinavian and Japanese minimalism, the bars will serve cutting-edge cocktails and employ a streamlined experience for bartenders and imbibers alike. At the centre of Elementary is a large communal bar, with breakfast and bottomless coffee in the morning, alongside a small food menu seasonal cocktails served from a specially-made tap system. Tayēr - meaning workshop in Spanish - is all about simple ingredients and modern techniques, so you can expect a more experimental and daily changing menu. 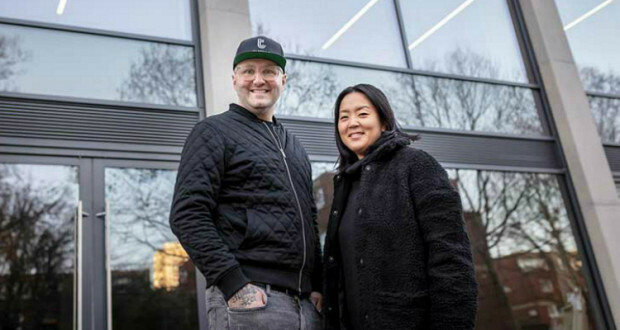 Foodies will be happy to know that sustenance is just as important here, as the Portuguese-Chinese duo behind Tā Tā Eatery - aka purveyors of west London's pop-up scene - will be serving up contemporary Asian sharing plates and their infamous Iberico pork-filled Katsu Sando.